Jazz pianist Aaron Parks' logical follow-up to his 2008 Blue Note debut recording is deep, cool, joyful, and rhythmically advanced. 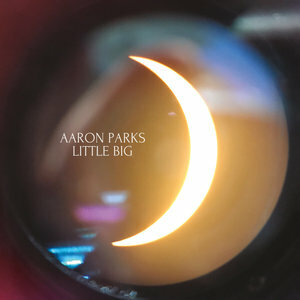 Aaron Parks is a jazz pianist who has always seemed to have a heart and a method that resisted the usual jazz structures. On the one hand, Parks was a star on the rise. He was a prodigy out in Seattle and was playing and composing in Terence Blanchard's band at 18, making a Blue Note debut ten years ago with Invisible Cinema, a recording that was not only well-received but that has grown in influence over the years. He went on to record two sessions for prestigious ECM Records as well as playing with the all-star group James Farm with Joshua Redman. That's a ton of acclaim, yet there was always something mysterious about Parks that matches the sound of his music. He didn't seem to be everywhere at once, and he was making appearances on small records too, with less famous artists, such as his painterly role in creating Ocean Av the graceful and subtle 2018 recording from singer Emma Frank. More than anything, it seemed as though Parks—for all his superb playing in so many places—had never truly completed what he had started with Invisible Cinema. Little Big, the latest from Parks, is the answer to this mystery. Using the same instrumentation as Invisible Cinema (guitar, keyboards, bass, and drums), the new recording extends many of the first record's rhythmic and textural ideas. It also widens them, however, exploring more moods, influences, and options. What emerges is a still-stronger essay on what jazz can be in the new century: creative music that combines song form, composition, and improvisation, sure, but now one that works those elements through the lens of modern rock and hip-hop as well as the tradition of classic jazz. Little Big contains moods and methods that achieve the goals of "jazz" in new ways. For example, "Mandala" begins as a simple bass line that rises and falls like a nursery rhyme on electric piano, starting off sounding like one of Chick Corea's famous "Children's Song" exercises. Parks' work sounds simple like that, at first, but then develops a layered complexity. There is no melody beyond that bass line, but the song maintains interest through a set of modulations and textural transformations. Greg Tuohey's guitar moves across the tune, but it is blended with synthesizer squiggles from Parks that inch toward taking a traditional "solo" but never get there. Tommy Crane's drums are barely there in the beginning, but they become more and more critical to the tune's increasing intensity. The result is a performance full of the spontaneous conversation that we associate with "jazz" without the usual formula. "Siren" is another example of how Parks achieves something fresh. The tune begins with a stately piano (then guitar) melody over a thrumming rhythmic feeling, setting up lovely solos for electric bassist David Ginyard and Parks. But the composition then moves into a completely new section, with Tuohey's guitar in a neatly overdriven fusion mode, soaring upward as the bass counters with hip upward echoes. Tuohey improvises over this section, but mostly the band stays together, stoking the rhythmic fire before everything cools back down to the original melody, this time played on bass. The opening tune, "Kid", works as a thesis statement for Little Big and as the clearest callback to Invisible Cinema. The rhythmic feeling the band generates is a magical stutter—a set of subtlety off-kilter polyrhythms that Parks generates from the piano alone and then are picked up by the way drums and bass push and pull against each other. It isn't hip-hop, but it sure isn't just jazz or rock either. The way Crane clatters against the piano groove couldn't be there but for years of hearing hip-hop though, and then Tuohey scratches against it too, like a turntablist. When the melody finally comes, it turns out to be a riff that rolls and repeats and surprises, just a bit of fusion but with some of that M-BASE wheel-within-a-wheel feeling. Parks chooses to solo using an overdriven Fender Rhodes, reminding us that texture is going to be as important to this outing as rhythm. This kind of rhythmic momentum is Little Big's most insistent pleasure. "Digital Society" also uses the piano to create its irresistible pulse. At times Parks plays a single note with a nervous, ticklish Morse code feeling, creating syncopation with a single line of pulses. At other times he plays chords that seem to be even eighth or quarter notes but that are offset by other notes in the left band or from Ginyard's bass. The rub between them turns a basic rock technique into a stew of sliding accents and off-beats. This kind of pulse-based piano work also animates "Bells", a song that achieves lyrical hypnosis, and also "Rising Mind", which starts with the single-note tapping and then moves into a tumbling syncopation for the whole band that supports a compelling melody for acoustic piano and sting-toned guitar. Parks' solo here may be his most lyrical and aggressive on the recording, ripping lines across the band's bobbing and weaving support. At other times, Little Big is simply lyrical. Left on his own, Parks leans toward beauty. "Lilac" is a gorgeous solo piano tune that reaches back to the kind of ambling, folk-ish piano that Keith Jarrett was sometimes caught playing in the early 1970s. "Hearth" is another solo piece with some similar harmonic moves that combine jazz and a slice of gospel. It's a ballad only 90 seconds long, but Parks gives you a full dose of feeling, leaving harmonies suspended until the very end of a phrase, leaving your heart out there on a limb as you listen. The other outstanding quality of the recording is its excellence as a recording and as a production. Not only are the sounds themselves sumptuous—the richness rather than any tinniness or squawking from the synthesizer, the delicious, sedimental way that Parks layers piano and electric piano, the three-dimensional feeling of the drum parts with kick and snare and cymbals all seeming to come at your ears from the warm center of the tracks—but the recording is produced to avoid the cliches of a guitar/keys-trio record. The album was recorded by Daniel Schlett and mixed by Chris Taylor, engineers with a background in indie-rock and other newer music. The result, for example on "Aquarium", is a gauzy warmth, with a web of Fender Rhodes and guitar underpinned by a rhythm section that sounds like a cushion and not a pile-driver. The music might not sound like this live, but that's the point. "The Trickster" shows how the production is carefully thought out. It's a slow and angular melody for guitar (with a whisper of synth) over a half-asleep funk groove. Rather than sounding heavy, there is a softness here, not a thudding quality. This track and "Professor Strangeweather" (a grooving tune for Parks' mysterious synths) are arguably the kind of music Return to Forever might have made if the band could have ever not gotten carried away with its technique and with a the bright, buzzing production sound that made so much 1970s fusion sound like jazz on cocaine. For most of Little Big, the mood is hiply calm even as the rhythms pull and tug with syncopation. "The Fool" layers an insistent triple rhythm beneath a backbeat, but the arrangement is cool, and the piano solo insists on staying inside the tune's subtlety. Similarly, "Small Planet" has a dancing guitar melody built over a melancholy piano figure that syncopates 4/4 time with a 3-3-2 pattern of arpeggios. Parks moves that figure across a landscape of harmonic changes so that, when it seems like it's time for a solo, the band simply jams together, returning to the melody without blowing you away but also without every losing your interest. "Good Morning" may be the most wondrous track on Little Big. Combining the Jarrett-esque optimism of Parks' solo playing and the repeated-piano-note rhythmic push of several other tunes, it becomes almost danceable. Built into the song's melody is a series of earworm descending figures that repeat and build interest. The whole of it, with improvisation that comes in small bites and mainly works the rhythmic interest of the performance, is a charm, a repeat listen. But so is all of Little Big, with its pulsing, comfortable joy from start to finish. Aaron Parks has not only composed a strong continuation of Invisible Cinema but he has increased the range of the pleasures he first introduced there. Little Big sounds like a wide universe but also a consistent one, a large canvas composed by a single artist with intention. It will carry you easily into 2019.